Seacoast Towers properties offered by Zahara Properties™ Buy, sell or rent your property with us, your Seacoast EXPERTS right now! Follow us on Twitter for all your Seacoast Towers needs! I am no longer handling short term rentals (less than 6 months) at the Seacoast Towers on Miami Beach. If you wish to buy or sell any units at the Seacoast Towers on Miami Beach, Florida please send an email by clicking HERE for more information. a division of Beachfront Realty, Inc.
We will gladly provide you with personalized services such as Sales, Seasonal, Rentals and Leases at the famous Seacoast Towers™ Condominium on Miami Beach. Contact our dynamic, multilingual team RIGHT NOW to either purchase, rent or sell your unit at the Seacoast Towers or even in the surrounding areas of South Florida. Zahara Mossman along with an amazing team of licensed Real Estate professionals are here to assist you 24/7. You can reach us by email HERE for more information. You can browse our listings at the Seacoast Towers on Miami Beach by scrolling down on this page. You can listen and download my latest e-book on Web 2.0, podcasting and more... FREE by clicking HERE. Seasonal, Short Term, Pesach and Yearly Rentals starting at $1,900 a month! Enjoy beach living while soaking in the sun! Come out of the cold and into the warm, beautiful sunny beaches of South Florida. Miami Beach is where all the "cool" people vacation! 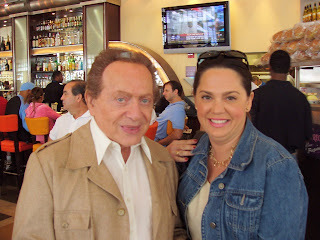 Jackie Mason with Zahara Mossman after breakfast at Jerry's Deli in Miami Beach. Click HERE for amazing Cyber tips! - Associated Press - "...agent uses podcasts to lure buyers..." the Boston Globe, AP wire. CLICK HERE - to read the full article written about Zahara Mossman and her innovative and unique internet marketing abilities. -Wall Sreet Journal - Click HERE to view The Wall Street Journal's endorsement of Zahara Mossman as a Luxury Home Agent. -South Florida Business Journal- writes:click HERE to read the entire ARTICLE on Podcast Realty™ written by Susan Stabley. All listing information deemed accurate, but not warranted. ©copyright 2004-2009 Zahara Mossman, LLC . You cannot use any of the images or content from this site without written permission. Who was the very first Realtor in the world to use podcasting? Zahara Mossman™is a pioneer in the real estate industry. Zahara also created a revolution in real estate technology by being the first Realtor® in the world to advertise her listings via “podcasting”. Mossman is an Internet Marketing Expert and Consultant. For those unfamiliar with the term, a podcast is an audio broadcast that can be downloaded to any computer or digital music player, including the iPod, by reading her listings over the phone to an automated robot program and uploading them to her Web logs. Subscribers are notified each time a new property is listed. These listings can also be heard and downloaded directly on her web pages. Such as Podcast Realty® By offering these audio tours along with digital photographs to her clients, Mossman has been able to sell real estate to clients throughout the world (she currently has several listings in Costa Rica) without ever showing them the actual property. Since obtaining her Real Estate license in 2004, she has worked non-stop with new business coming in from builders, developers, buyers and sellers from around the world as a result of her "podcasting" and Internet expertise. Realtors®, please click here to join Zahara Mossman™RECS CLHMS & Internet Marketing Consultant Expert with the Real Estate Cyberspace Society today! If you are an "Internet Saavy" Realtor® and think you have what it takes in Cyberspace, click on the link to become a part of an elite and specialized group of Realtors®, join me right now! ZAHARA MOSSMAN™ELECTED CHAIRMAN of the Real Estate Cyberspace Society CHAPTERS for Latin America and the Caribbean 2008 April 2008 - Zahara Mossman™Real Estate Cyberspace Specialist (RECS) Certified Luxury Home Marketing Specialist (CLHMS), located in Miami Beach, Florida and Latin America based out of Costa Rica has been Elected Chairman of the Costa Rica, Panama, Nicaragua, Guatemala and Dominican Republic Chapters of The Real Estate Cyberspace Society. John M. Peckham III, Executive Director of the Real Estate Cyberspace Society announced Chairman Zahara Mossman’s election and explained that the new Society Chapters bring national Cyberspace networking support to real estate professionals in Costa Rica and throughout Latina America and the Caribbean. When many brokers are closing their doors in this real estate market, Zahara Properties LLC™ a division of Beachfront Realty, Inc. is expanding her offices into Latin America and the Caribbean, based out of Costa Rica. Zahara has known, studied, traveled and lived throughout Latin America for over 28 years. She has now partnered with Quiros & Asociados – Central Law, a prestigious and well known Central American and Caribbean law firm, based out of Costa Rica unified in response to modern globalization trends. Quiros & Asociados are visionaries, providing services and professional expertise creating the first Central American law firm with offices throughout Latin America and the Caribbean. 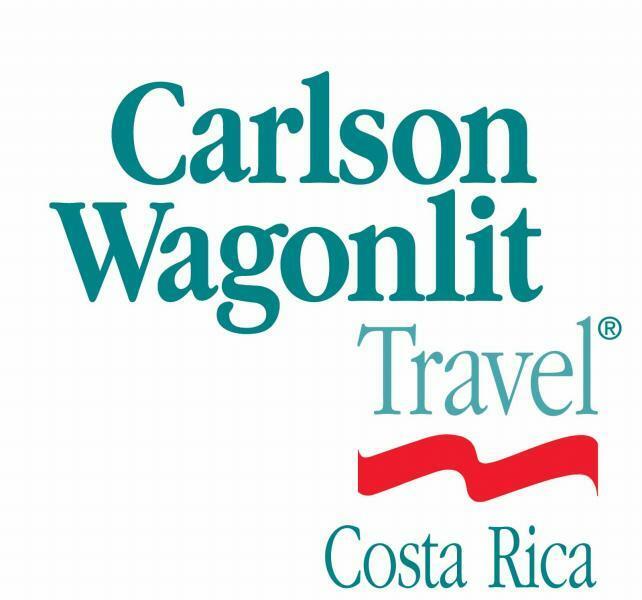 Zahara Properties™thanks CWT of Costa Rica for joining and sponsoring our team! Zahara Properties™welcomes them as the preferred legal and travel teams, working together to provide you with all of your legal, travel, investments and real estate needs world wide, a combination that can’t be beat! 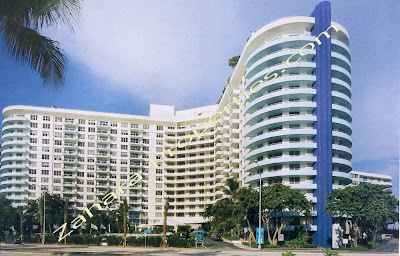 Seacoast Towers on Miami Beach has ONE unit left for Passover 2009. Please contact now to reserve. You can find great local Miami Beach, Florida real estate information on Localism.com Zahara Mossman RECS, CLHMS is a proud member of the ActiveRain Real Estate Network, a free online community to help real estate professionals grow their business. Please contact Zahara Mossman via email only at z@zaharaproperties.com to get your unit for Pesach 2009 at the Seacoast Towers on Miami Beach. This is the last unit available, so act now! The Pesach price for this unit is $5500.00 for the year 2009. Non-negotiable. Social Media powered entrepreneurial woman, 15 year eMarketing expert, connecting,creating Business & Personal Synergies. Board of Directors City of Miami Beach Commission appointed by Commissioner Jerry Libbin. Highly advanced, niched Global Business Consultant. Internet Marketing Expert. Winning Political eCampaign Director for Michael Gongora- Miami Beach Commission Elections, eCampaign Director for Presidential candidate of Costa Rica 2010. Licensed Realtor® working exclusively with Ultra-Luxury Eco properties globally, founder of Podcast Realty®, Zahara Marketing, Inc., Zahara,S.A & Zahara Properties® helping you optimize & brand you using my experience, through my consulting services. Pillar Chamber Member I provide superior quality services to clients from the start. I have a team of professionals working with me from Marketing experts Web 2.0 Mortgage Brokers, Web Design, all working synchronized as an eTeam. Certified member of The Institute for Luxury Home Marketing, Chairman of the CyberSpace Society, using new creative tools for promoting estates and businesses, you will benefit from my knowledge and expertise. I always will, provide excellence in service.